A brilliant game idea submitted by Dan Vander Woude, YL Area Director in Monroe, LA. Thanks Dan! If you have an idea to share, here's how you do it. At this point in the school year, we're all trying to figure out ways to engage seniors that have already mentally graduated. 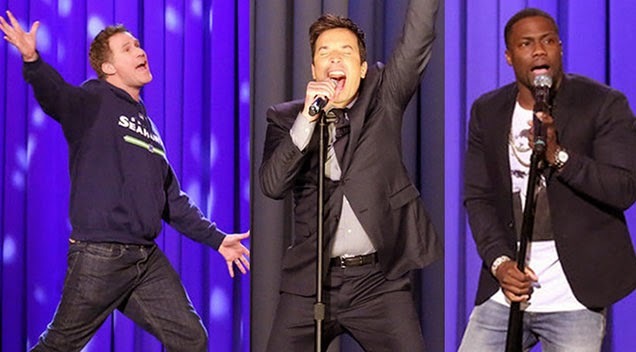 Video clips of Jimmy Fallon’s lip sync battle with Kevin Hart and Will Ferrell were making the rounds last week and it could make for a great club game involving seniors. In our club we'll make it a two week game and crown a champion—it could easily turn into a yearly tradition with a trophy passed down. Similar to other skits, kids will be likely to invite their friends in order to support them while they perform. Choose 4 seniors or teams of seniors to perform a lip sync to a song of their choice and your approval. Each team performs 1-2 minutes of their song, and then have leaders/committee/donors rate their performances in either a camp pool Olympics judging style or American Idol style. The top two teams move on to the next round at the next club with new songs battling for the championship. The championship round could even involve both teams performing two songs. Set up a leader with each team to help coach them. It's built in contact work time as you practice and locate costumes. Also, pairing a leader with each team should help the danger of kids going unscripted. Introduce with a game show type host character that can be used for other club games throughout the semester. In a club setting with a large stage, the same could be done in a 'Dancing with the Stars' format. Promote the lip sync battle on your social media with boy-bandish shots around town or 'behind the scenes' practice videos. Trophies. Everyone loves trophies. Ask people in your community to donate old trophies from their childhood achievements, remove the name plate, and make a sticker with the club game champion info on it. We recently had a community member give us their entire childhood of 30 trophies to be used at Club. Video of Jimmy Fallon, Will Ferrell and Kevin Hart’s battle can be seen here.